MP3 Player built into a standard cassette casing, letting you either use it as a uniquely old school shaped MP3 Player, or with any car cassette or cassette player to play MP3 Music. You will have no problems listening to hours of your favorite songs as this product also has a built in SD Card Slot, saving you flash memory cost as well as letting you quickly change to different songs if you have different SD Cards. 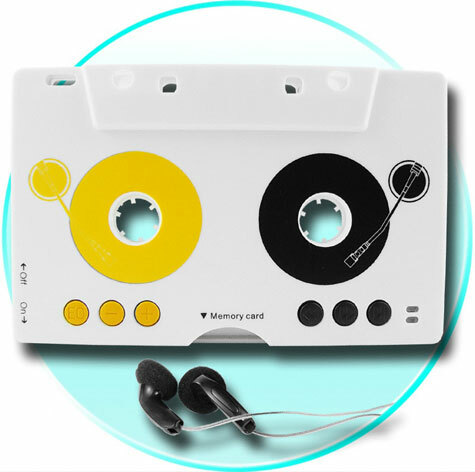 If you are into old fashioned looks, but with great new built in technology, this is a MP3 Player worth having and showing off, and is avaiable direct from Chinavasion Wholesale Electronics.